Students in the Loyola Preparatory Music Program recently were honored at the New Orleans division of the Louisiana Music Teachers Association District Piano Rally in April. Multiple students placed in first, second or third place, and others received Outstanding Achievement Awards. 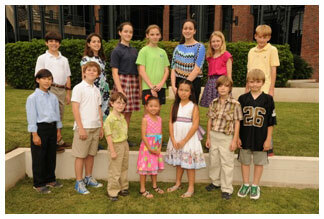 Nine students were selected to perform at the Torgrimson-Swanzy state finals at Louisiana Tech University on June 2. The LMTA Rally is designed to promote and encourage excellence in the field of music study. It serves as a growth process for students and teachers by providing an opportunity for students to demonstrate their musical skills and knowledge. Each spring, students enter the district rallies and must participate in four divisions (1-performance, 2-sight reading, 3-keyboard musicianship, 4-written theory, history and ear training) in order to be eligible to receive an award. Students who will perform at the Torgrimson-Swanzy competition are: Emma Freeman, Bowen Mince, Carine Lama, Maxwell Hickman, Sophia Cao, Alex Devlin, Harrison Fournet, Sawyer Nunes and Robert Freeman. In addition, students who received a score of 90 or above in all four divisions of the rally also received special recognition; Loyola had 24 prep students receive this honor. The Loyola Preparatory Music Program is one of the few comprehensive music programs in the metropolitan New Orleans area, offering a structured program of music studies in piano, ballet, voice, guitar and string instruments with additional areas as needed and available. For more information, contact the Loyola Preparatory Music Program office at 504-865-3627 or prep@loyno.edu.